Recently I decided to take up a new hobby… writing code for small things. So, being a .NET developer, I decided the easiest way to crack this nut is to use .NET Micro Framework (or NETMF). Getting started with NETMF is fairly easy for a .NET developer. You go to www.netmf.com, download and install the SDK and you create new projects using the new templates. MFUnit is a simple .NET Micro Framework Unit Testing Library. It uses convention based discovery to find and run your tests. MFUnit is open source – https://github.com/ducas/MFUnit. Check it out! You’ll find a readme page with more detailed information and source code, including a test project that uses MFUnit to test the Assert class. Installing this package will create a class named TestProgram. Simply delete Program.cs, write your tests and you’re on your way. The following class will be discovered by the test runner and the methods will be executed. #### Message: Expected: "null", Actual: "not null". FAIL AssertTests.AssertIsNull_ShouldPass_WhenActualIsNotNull: Expected: "null", Actual: "not null". Currently the only GUI is a simple Pass/Fail count. Depending on whether this picks up and how many people request it, I may put some effort into listing the appropriate tests and making the information navigable. 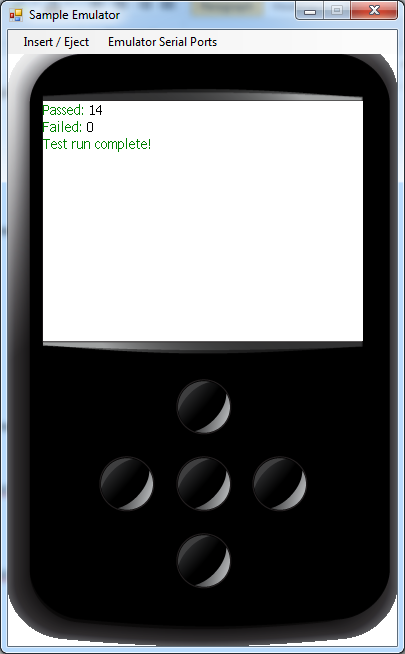 Also, once VS11 is a bit closer to release, I may add a plugin for the test runner. Hopefully this is useful to others out there. If you have any suggestions feel free to leave comments. If you want to contribute I’ll happily accept GOOD pull requests.